A member of my homebrew club suggested that we brew up the “twelve beers of christmas” mentioned in Randy Mosher’s Radical Brewing. 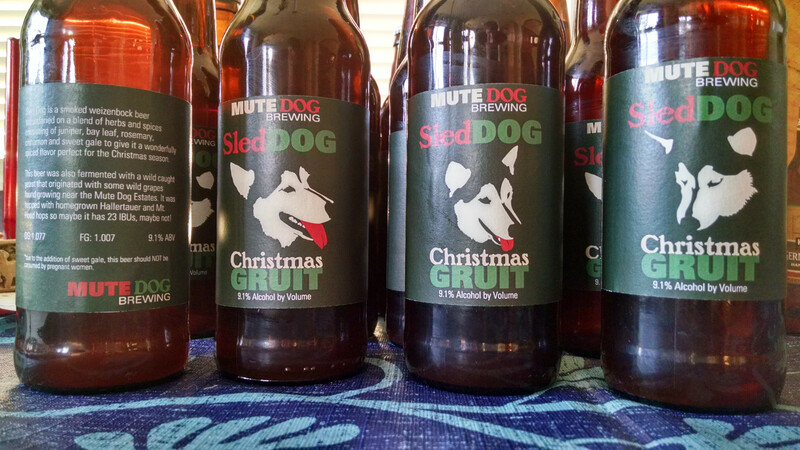 This idea was met with much enthusiasm and soon enough we had thirteen beers of christmas that were being brewed for a Christmas beer exchange and party. 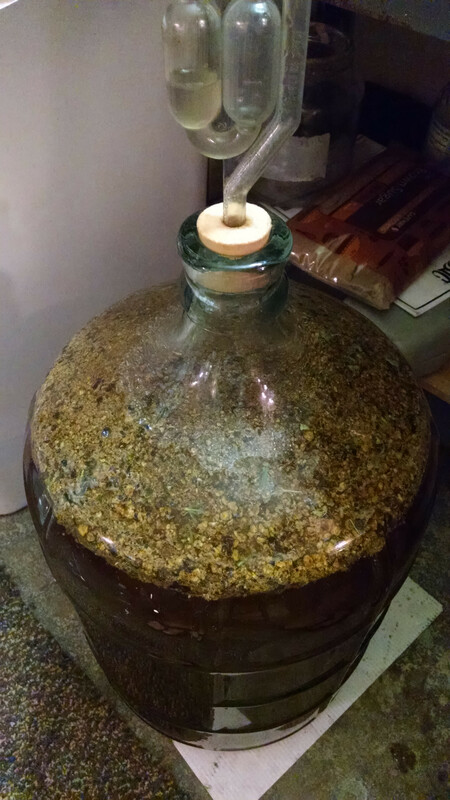 I chose to brew the Christmas Gruit, which is based on a smoked weizenbock with the addition of a number of gruit herbs, juniper being the most prominent among them. I made a ten gallon batch of a smoked weizenbock using homegrown hops in the boil. After chilling I split it into two fermentors and each one got a different yeast, one used my wild hefe yeast and the other used a recently caught yeast from some wild grapes I found growing near my home while taking the dog for a walk. This new yeast seemed promising in the initial starters so I decided to risk it on a full batch, I’m glad I did. After about three weeks I had to decide which batch to add the gruit herbs and spices to so I took a sample of each and added some crushed juniper berries to them both and let it steep for a few hours and then tasted them both. I decided that the batch with the new yeast lent itself better to the flavors of the juniper, the hefe yeast batch was accentuating the smoke flavor from the rauch malt (perhaps the due to clovey phenols?) which was fighting with the juniper flavor. So I kegged that batch at this point as a tasty smoked weizenbock. I left it to secondary on the gruit for six weeks or so, the honey should add about 7 points to the gravity and should ferment out completely. After the six weeks the gravity seemed* to be stable at around 1.007 (putting this beer at 9.1% abv) so I racked it into a bottling bucket with priming sugar and bottled into 12 oz bottles. This is the first time I’ve bottled an entire 5 gallon batch of beer in many years and it just helped to remind me of how great kegging is. Since I was going to give a number of these bottles away at the exchange I decided that labelling would be appropriate. I designed the labels to be 7.5 inches wide by 3 inches high and printed three to a standard 8.5×11 sheet of paper and cut them out by hand. Since I was printing three to a page I decided to use three different Dora head illustrations for a bit of variety. I stuck the labels on with milk. Labelling bottles is nearly as tedious as filling bottles, once again: kegging ftw. I’m really pleased with the new yeast, especially happy that it took the beer to 9%. It is actually quite similar to my abbey strain in the esters it produces. My next beer is going to be a split batch with these two yeasts side by side. I’m hoping they are the same, which would point to this yeast being the dominant strain in the neighborhood, though additional local harvests would need to be done to further verify if this is the case. The beer is quite good, and VERY junipery, especially on the aroma, with some additional herbal things behind the juniper and supported by maltiness in the background. If I were to make this again, I would cut the amount of juniper in half. That said it is still a very tasty beer and I’m pleased to drink it.